Repeat order so all as expected. Location of waist buttonhole in waistband and hole too small to operate with ease. Response from Charles Tyrwhitt: It is most unusual to hear that the buttonhole is smaller than usual. At Charles Tyrwhitt, we expect all of our products to be enjoyed and used with ease straight from the packaging so it is disappointing that you are having such issues. We would be more than happy to arrange for a replacement pair to be sent to you to ensure that any further difficulties are reduced going forward May I ask at this stage if you would be happy for a replacement pair to be sent to you. Please do let us know by either replying to this message or contacting our 24/7 customer service team and we will take the necessary action to resolve. 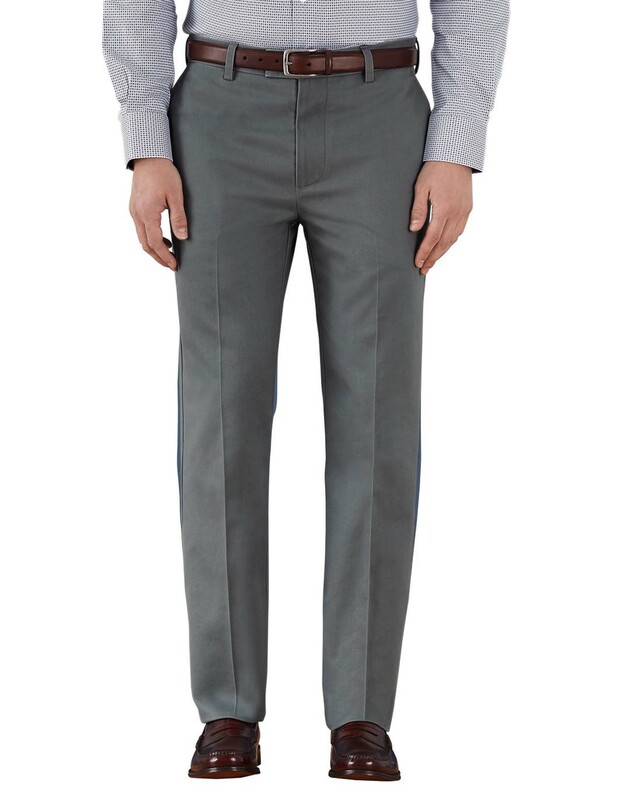 The trousers were as described, the price was reasonable and as with previous orders no problems. Excellent quality. Pity about the delivery service.